"Tujhe Sab Hai Pata Meri Ma"... Every time I hear this song, I just cannot control my emotions. Its flawless and just flows you with every emotion. Mothers are the power house of talent. Be it any work, difficulty in any situation, she is always there. No matter anyone will stand with you or not but she will always be by your side. On your mistakes, she will scold you but she itself will feel that pain. She plays so many roles without any obligation. Be your favorite dish, however tired, she will make prepare it for you. Every dish she makes is the best food which I love and no hotel can replace that. Mom, your food is the best food and however hard you try to copy her recipes, the food will never taste like her, its because mother love just makes it more tasty. Every time when I am in so much tension, I decide not to tell her but I don't know how she get that vibes and she calls me. Everyone says there are certain things which we should not tell her, but I don't know how she gets those vibes and I end up telling her my stress. Everyone says we should not trouble her by giving your worry but I feel if you tell your mom she will pray for you and God listens to every prayer which your Mom makes for you. As rightly said "God cannot be at every place so he had made Mom". I feel sometimes if we hide certain things from her she feels my kids are grown up and they don't need me anymore. She starts feeling as if her sabbatical has started. You come home after some days and obviously her work gets increased but still every time she will say, "Go and sit outside its hot here" but she will sweat there standing. The one thing of every mother is selfless, I don't know how they can always think about the betterment of family. Whatever she requires, she will always think about her children. She will always make you cautious about certain things. Its not she does not want you to enjoy life but she does not want you to end up in trouble. There are misconceptions in our country that after marriage daughter becomes "paraya dhan" and your mother has no right on you. But I am glad my mom never considered me as Paraya Dhan. She is my backbone and always stands besides me. The relationship of mother and daughter is the most beautiful. Mother can share her joys and sorrows with her and so can you. Because technically the bond is very different. Its not that they don't share with boys but the rapport with daughters is magical. She feels free to share any problem. Every day she prays for your better and healthy life. Mothers are the source of inspiration and strength. However hard you try to lie to her she will catch you for sure. She may not immediately acknowledge but one fine day, she will ask what had gone bad that day. Talking to her everyday and telling your details makes her feel special. Because their heart is filled with innocence and she demands only love and attention from us. 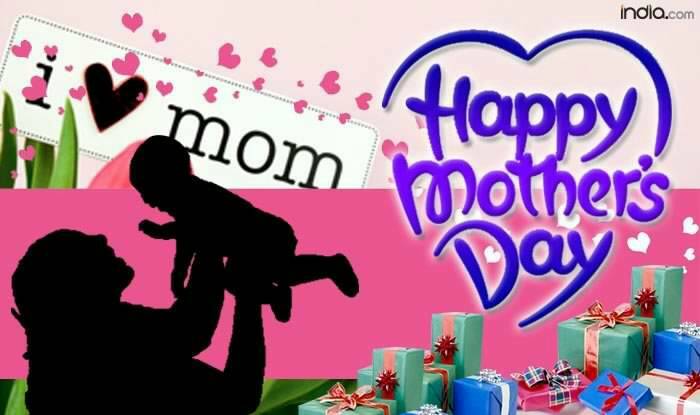 Shower you love on her and here's wishing every mother "A very Happy Mother's day" and of course salute to every Mom for their strength love and selfless nature!